CPSIA reprieve and other good things - Stop staring and start sewing! You may have heard the news but in case you didn't: Congress has decided to allow a one year stay on that nasty, ill-thought-out, did anybody actually read this thing? piece of legislation called the Consumer Products Safety Improvement Act (CPSIA). All over the country small business owners breathed a huge sigh of relief and re-girded their loins to take this battle to the finish. Sen. Jim DeMint (whom I love more than my UPS guy right now) is working on legislation to reform the CPSIA in order to take out some of the crazy requirements that would cripple small businesses (in this economy!). What a good feeling it is to be part of a grassroots effort that made a big impact (I made countless phone calls and I know a lot of you did too)! Onward and upward! Thank you for all the apron love from my last post! Yes, I'm working on a pattern so stay tuned (please). 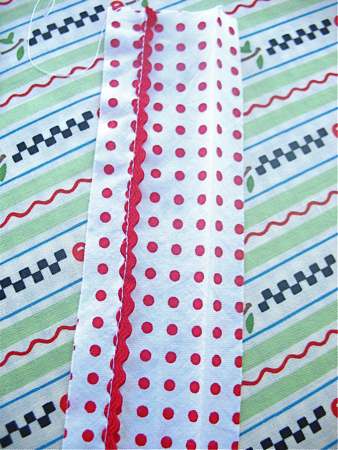 In other aprony news, my friend Marie made a darling apron using my Apron in an Hour tutorial and she's giving it away! So run over there and leave a nice comment and then cross your fingers and wait for the announcement. Fun! 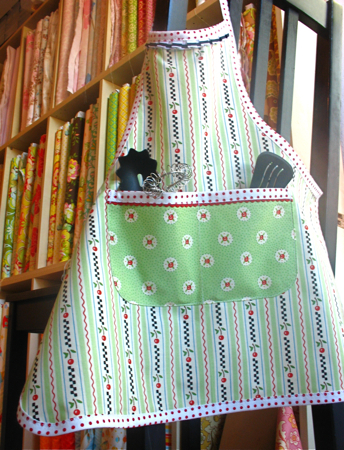 I had a lot of fun yesterday making a little apron for a little friend who recently had a birthday. I found some cute kid-sized kitchen utensils at IKEA to finish it off. I think this Mary Engelbreit fabric is the perfect scale for this size of apron. I love it! I added some mini rick rack to the bias trim on the pocket and I think it added a little spunkiness to it. I just lined the rick rack up on the fold line and stitched the edge of it. This is what it looks like when folded over the pocket. Cute! I think this idea works well on something this small but I would definitely use bigger rick rack on a bigger apron. And speaking of Heather Bailey and Mary Engelbreit (two of my favoritest people ever! )...remember this magazine? 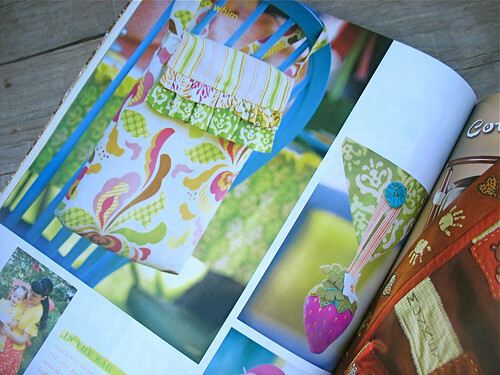 Well Heather recently gave me the book totes I sewed for the magazine so I could sell them for Christmas money. Umm...anyway, I'm a little slow but actually I'm selling them now since my dishwasher is on it's last leg and I'm hoping to put the money towards a new one (with a food chopper at the bottom!). So if you've been wanting one of these, go take a look! And if you want the pattern, fear not. Heather has every intention of releasing one! And tomorrow I'm finally receiving Andalucia and Flights of Fancy from the fabulous folks at Michael Miller. They are both on sale for 7.50 yd until Monday (my apology for taking so long to get them here!). Two beautiful collections by two wonderful designers!! What more could a girl ask for?? Oh, I know...Flower Power by Jennifer Paganelli! Okay, it's not here yet (sorry to tease) but I went back and ordered the whole line. I had just selected some of them the first time around because of "the economy" but I've had so many emails about it I realized we all want fabric no matter what! Yippy! I'll keep you updated on that one (I can't wait!). 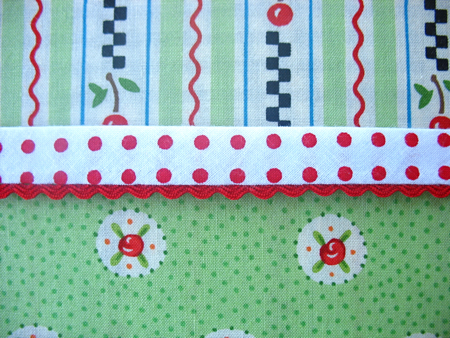 Have a great week and keep on sewing! !